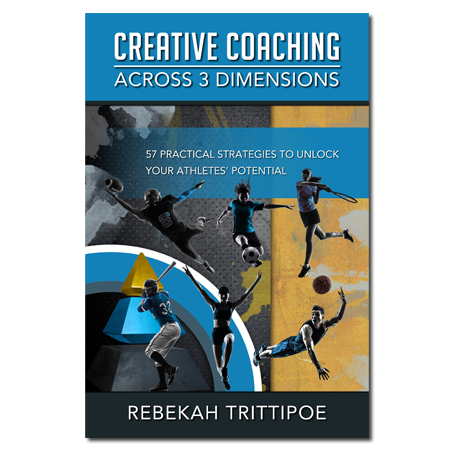 In Creative Coaching Across 3 Dimensions, you will learn how to masterfully coach Skillset (1st Dimension), Mindset (2nd Dimension), and Heartset (3rd Dimension). This book contains 57 practical team tools and activities that can be used to develop your players on all three levels. Each of the activities put the play back in the game, and joy back in the soul. Pursue excellence. Be creative. Work hard. Have fun. Watch your team grow into a healthy, productive unit…all because you intentionally coach in three dimensions. I played sports all my life, and still do. I embraced the discipline and effort it took to become proficient. Though I was often on the verge of hurling up my lunch, I smiled on the inside because I “got” to play; I didn’t “have” to play. I was fortunate to have coaches that inspired dedication and unremitted work ethic, all the while remembering it was a game we played or a track we circled. Having the freedom to play with joy was fun (even though not always pleasant), and it went hand-in-hand with developing excellence. I am grateful for their example. This book is a result of my own efforts as a coach of both athletes and coaches. The activities you find described can add creativity to your coaching strategies. Most are meant to develop various aspects of the 1st Dimension, and at the same time teach important principles that foster growth in the 2nd and 3rd Dimensions. Other activities encourage problem solving and leadership. And some are just unadulterated, pure bliss intended to create a sense of well-being and comradery within your team. Sure, you could say each day, “Line up. Six suicides!” Or you could sometimes disguise the hard work in the form of a game that harkens back to their childhoods. It’s like hiding the zucchini in the chocolate cake. Regardless of whether you coach young kids or college athletes, I anticipate that you will be amazed at the impassioned efforts the players give–all because a little more play was allowed into their sporting world. Pursue excellence. Be creative. Work hard. Have fun. Watch your team become better and function healthier because of it… in all three dimensions! Rebekah Trittipoe is a lifelong athlete and a record-setting ultrarunner and adventurer. She understands the psyche of the athlete and embraces the responsibility of coaching the whole person. 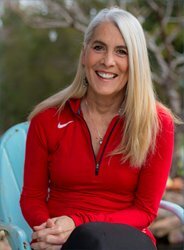 Rebekah’s long career as a medical professional, along with her vast experiences as athlete, teacher, and coach, demonstrate her keen ability to create activities that strengthen both the individual as well as the team. In her role as a character coach at a Division 1 university, she utilizes these very activities in helping to build strong, effective teams.